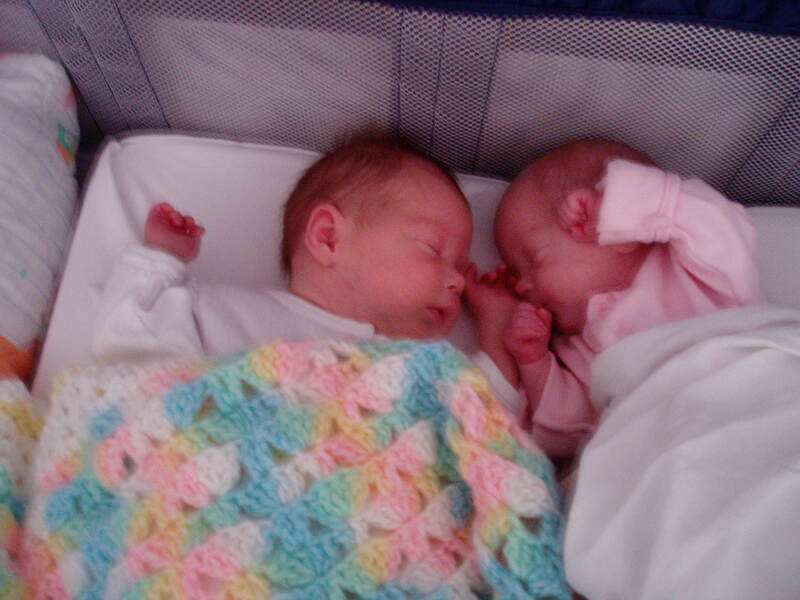 Ten years ago tonight, my twin daughters, Katrina Marie and Lauren Elizabeth, were born. It had not been an easy journey. I married my wife when I was twenty-five years old (she a year younger) and for the next five years we enjoyed being newlyweds. We were DINKS (double income no kids) and did pretty much what we wanted. We planned on trying to have kids when I turned thirty, the thought being children would arrive in our early thirties and be off to college by our early fifties, when we would both want to retire. A funny thing happened on the way to having kids: we didn’t. We tried the good old fashioned way for several years. But nothing happened. So we got doctors involved. After trying both artificial insemination and In Vitro several times each, we were ready to give up. Once my wife got pregnant, only to lose the baby to a miscarriage. We were down to our last In Vitro procedure as the money was running out, we wanted to save some for the adoption process, when once again, my wife became pregnant. While happy, we were also well aware we were nowhere near home free. As the weeks went a long, we relaxed a bit. We had one of the best high risk doctors in town, Dr. Weaks as our main baby doctor and he was pleased with the progress of the pregnancy. Until Super Bowl Sunday, that is. Just as the game was starting, Karin developed heavy bleeding. Having had one miscarriage, we knew what this likely meant. We rushed to the emergency room, and everyone else had the same feeling that the pregnancy, it was over. Turns out, it was a false alarm, with the bleeding being caused by the fertility med. With the scare over, we made it a few more weeks before disaster struck. We went to see Dr. Weaks on a routine visit and ultra sound. The doc wasn’t even in the room when we got started and after a moment, the nurse excused herself from the room shortly after putting the ultrasound up on the screen. Dr. Weaks confirmed what she had seen, and that was the fact the cervix had started to open and babies to come out. We were at eighteen weeks, and this meant we were going to lose the pregnancy. Dr. Weaks said we had one chance. My wife spent two days upside down, allowing gravity to ease the babies back inside. Once this had occurred, he used a new stitching technique to sow her cervix shut. He cautioned us we only had a one in ten chance of making it a week. If we made it a week, there was a one in ten chance of making it a second week. After that, it would be fifty-fifty, but we had to realize this procedure most often ended in failure. The doctors admitted Karin to the hospital on strict bed rest, and we made it the week. Then a second. Then a third. Things would not get much easier as she first developed an allergic reaction to the bed sheets, then came down with gestational diabetes. The weeks dragged on and on with no change. When we hit twenty-two weeks, the neonatal doc came to see us to go over our options should an emergency delivery be needed. He said the decision to try and save the twins at that stage would be up to me as Karin would be heavily medicated. It was Sunday at the Masters, and I can remember how surreal it was to have the conversation about life and death while watching the most beautiful tournament on TV. The statistics for babies born that early is frightening. He told me I would have less than thirty seconds to decide if my children would live or die. Six weeks later, we had passed the real danger zone when it comes to needing to be hospitalized, and they sent my wife home for the rest of the pregnancy. On yet another routine visit, just short of thirty-two weeks, near the end of the ultra sound, Lauren’s heart rate dropped by about thirty points. They once again admitted Karin, monitoring for another drop in the heart rate. When after two hours, nothing had happened, they told us if we went another fifteen minutes with no issues we would go home. If the heart rate dropped again, the doctors would deliver the twins. Ten minutes later, Lauren’s heart rate once again fell, and they prepped Karin for delivery. Less than an hour later I was holding two tiny, but healthy baby girls. Katy weighed four pounds eight ounces, Lauren, two pounds eleven ounces. They spent a month in the neonatal unit to make sure they were well enough to come home. 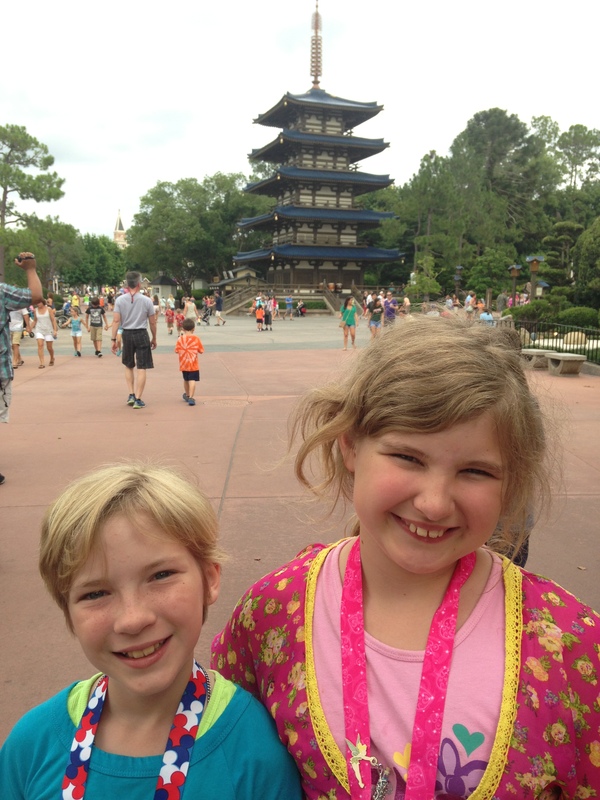 Today I have two extremely healthy and lovely girls. Having kids at forty has made for an interesting change in the lifestyle, but I wouldn’t have it any other way. So happy birthday to Katy and Lauren, the two prettiest women on the planet. What a blessing to have your two beautiful girls. I know you love every minute! Most every minute! They make the world a bright, beautiful place. That is so bittersweet. Thanks for sharing Tony. They are so beautiful! 8′-). A wonderful, heart warming story for a Monday(which is when I’m reading this). What a great pair of blessings cuz. GOD IS GOOD! Thanks, Cuz. We are doubly blessed. ahhhh such a wonderful story….soo glad it had a happy ending…..GOD IS GOOOOD!